A winter day in Aspen is no sprint. And a full season is a veritable ultra-marathon of not only skiing and après-skiing, but more arts and cultural happenings than any remote mountain town can take for granted. 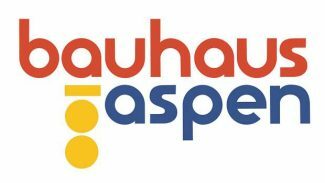 The big one this winter is the kickoff of the yearlong Bauhaus centennial celebration, with Herbert Bayer-centric exhibitions at the Aspen Historical Society, the Aspen Institute and diverse events hosted by just about every arts-related entity in the Roaring Fork Valley. On the music front, we’ve got rap legend Lil Wayne at X Games and DJ duo Justice at Belly Up for New Year’s, along with local favorites like the Wood Brothers, Leftover Salmon and Chris Robinson back in town (and a dose of John Denver, of course). From the page, Winter Words has the great American novelist Colson Whitehead coming in February and on the stage we’ve got the return of the Crystal Palace players at the Wheeler and a youthful “Newsies” at Theatre Aspen. Laugh Fest has another next-level stand-up lineup booked, along with high-profile comics at the Wheeler like Jim Gaffigan and Marc Maron. 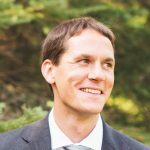 AND DON’T FORGET: Tommy Caldwell at Winter Words (Jan. 8) … Curtis Sittenfeld & Emily Jeanne Miller at Winter Words (Jan. 29) … Bruce Berger’s “A Desert Harvest” (to be published in March) … Jane Mayer at Winter Words (March 12). 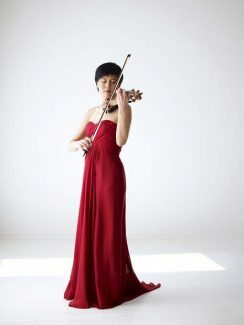 The world-renowned violinist has conceived a four-part “Bridge to Beethoven” concert series that pulls Beethoven’s works in to the 21st century by pairing them with contemporary compositions inspired by him. In this “Bridge to Beethoven” rendition, Koh pairs Beethoven’s Opus 30 violin sonatas with newly commissioned pieces composed by Andrew Norman. AND DON’T FORGET: The Ten Tenors at Wheeler Opera House (Dec. 6) … Aspen Choral Society performs Handel’s “Messiah” at Wheeler Opera House (Dec. 15) … Pianist Yefim Bronfman at Harris Concert Hall (Jan. 29) … Pianist Marc-André Hamelin at Harris Concert Hall (Feb. 28). The Wheeler continues to up its game for the Aspen Laugh Fest, booking can’t-miss headliners and supporting acts better than most comedy festivals on Earth over the last two years. 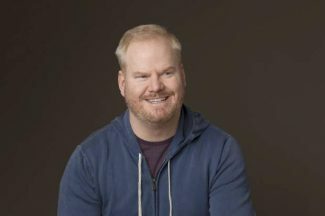 But nobody is bigger than Jim Gaffigan, who headlines the historic theater the weekend before Laugh Fest 2019 kicks off. One of the funniest and most popular stand-up comics in the world, Gaffigan plays arenas and large venues (he even opened for the Pope in a Philadelphia stadium). If you can get tickets, don’t miss the chance to see him in the Wheeler. AND DON’T FORGET: Mike Stanley at The Temporary (Dec. 8) … ‘Adventure Not War’ at The Temporary (Dec. 13) … Melissa Villasenor at Wheeler Opera House (Dec. 23) … Sal Vulcano at Wheeler Opera House (Jan. 5) … The Capitol Steps at Wheeler Opera House (Feb. 8) … Nate Bargatze at Aspen Laugh Festival (Feb. 20) … Kathleen Madigan at Aspen Laugh Festival (Feb. 21) … TIg Notaro at Aspen Laugh Festival (Feb. 22) … Jo Koy at Aspen Laugh Festival (Feb. 23) … Marc Maron at Wheeler Opera House (March 23). “The Trocks” are back, bringing their hilarious all-male ballet send-up to the District. This popular touring troupe of men in tutus mocks the tropes and traditions of ballet, with equal doses of genius physical comedy and downright astounding dance technique. In a quieter than usual dance season without a splashy premiere from Aspen Santa Fe Ballet on the books, this much-anticipated return to town from the Trocks promises to be the dance event of the winter. AND DON’T FORGET: “The Nutcracker,” presented by Aspen Santa Fe Ballet at Aspen District Theatre (Dec. 8-9) … Acrobats of Cirque-tacular at Wheeler Opera House (Dec. 29) … “Tuplet,” “1st Flash” and “Eudaemonia” performed by Aspen Santa Fe Ballet at Aspen District Theatre (Feb. 16) … Catapult at Wheeler Opera House (March 3). Natalie Portman leads and sings as a pop star haunted by a violent tragedy from her teen years in this hotly anticipated new film by director Brady Corbet. It’s among the titles coming to Academy Screenings, the beloved annual festival of awards season movies hosted by Aspen Film between Christmas and the New Year. AND DON’T FORGET: Kid Flicks at The Temporary (Dec. 1 & March 2) … “This Mountain Life” at the Wheeler Opera House (Dec. 16) … “Roma” at Aspen Film Academy Screenings (Dec. 26-30) … “Aspen Extreme” at the Wheeler Opera House (Jan. 10) … Aspen Historical Society Retro Film Series at various locations (Jan. 11, Feb. 8, March 8, April 12) … International Ocean Film Tour at Wheeler Opera House (March 22) … “Where’d You Go, Bernadette” in theaters (March 22) … Aspen Shortsfest at Wheeler Opera House (April 2-7). Yes, it’s Weezy F Baby. And the F is for phenomenal. 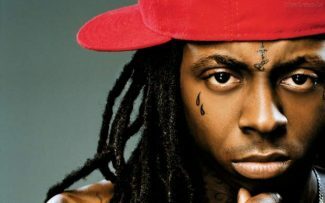 The New Orleans hip-hop legend, hot off the release of his long-awaited “Tha Carter V,” is coming to the mountains for two of the biggest concerts of the year in Aspen. He’ll headline Friday night in the outdoor arena at X Games in front of some 6,000 very cold people and Saturday for about 450 very lucky fans at Belly Up downtown. AND DON’T FORGET: Lucas Wolf at Wheeler Opera House (Dec. 1) … Dirtwire at Belly Up (Dec. 4) … The Wood Brothers at Belly Up (Dec. 9) … Bone Thugs-N-Harmony at Belly Up (Dec 13) … Shakey Graves at Belly Up (Dec. 14) … Nathaniel Rateliff & The Night Sweats at Belly Up (Dec. 15-16) … Tim Montana at The Temporary (Dec. 16) … John Denver Christmas Concert at the Wheeler Opera House (Dec. 20) … Dillon Francis at Belly Up (Dec. 21) … Sweet Lu Olutosin’s Red Hot Holiday at JAS Café (Dec. 21-22) … Third Eye Blind at Belly Up (Dec. 27) … El Javi Trio at The Temporary (Dec. 28) … Robert Randolph and the Family Band at the Wheeler Opera House (Dec. 28) … Cory Henry & the Funk Apostles at JAS Café (Dec. 28-29) … Diplo at Belly Up (Dec. 29) … Justice at Belly Up (Dec. 30-31) … Vaud and the Villains, Wheeler Opera House (Dec. 31) … Dirty Revival at The Temporary (Dec. 31) … Emancipator at Belly Up (Jan. 1) … En Vogue at Belly Up (Jan. 4) … Steve Aoki at Belly Up (Jan. 5) … Sammy Miller & the Congregation at JAS Café (Jan. 11-12) … Jerry Douglas at Wheeler Opera House (Jan. 13) … Classic Albums Live: “Dark Side of the Moon” at Wheeler Opera House (Jan. 17) … Mavis Staples at Belly Up (Jan. 18) … MarchFourth at The Temporary (Jan. 19) … Kygo at Belly Up (Jan. 24) & at X Games (Jan. 27) … The Chainsmokers at Belly Up (Jan. 25) & at X Games (Jan. 26) … Louis the Child at X Games (Jan. 26) & at Belly Up (Jan. 27) … Chris Robinson Brotherhood at Belly Up (Feb. 9) … Leftover Salmon at Wheeler Opera House (Feb. 14) … Atmosphere at Belly Up (Feb. 15) … The Lique at The Temporary (Feb. 15) … Robin McKelle at JAS Café (Feb. 15-17) … Pat Green at Belly Up (Feb. 20) … The Infamous Stringdusters at Belly Up (Feb. 22) …Shelly Berg Trio with Veronica Swift and Billy Valentine at JAS Café (Feb. 22-23) … Lettuce at Belly Up (Feb. 24-25) … Ola Onabule at JAS Café (March 1-2) … Dave Mason at Belly Up (March 7) … Andrew McMahon in The Wilderness at Belly Up (March 10) … The SteelDrivers at Wheeler Opera House (March 16) … Wynonna Judd at Wheeler Opera House (March 26) … Buddy Guy at Belly Up (April 1). 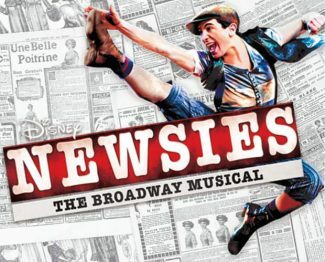 A talented young cast from Theatre Aspen’s Winter Conservatory brings this timely Disney musical of newsboys and labor battles to the stage for a limited five-performance run. This dance-heavy thriller of a show – a smash on Broadway in 2012 – and its age-appropriate cast make this student production a promising gem coming to the stage in the new year. AND DON’T FORGET: “Kimberly Akiimbo” at Thunder River Theatre Company (Nov. 30-Dec. 15) … “DaVinci & Michelangelo: The Titans Experience” at The Temporary (Dec. 7) … “A Christmas Carol” at Wheeler Opera House (Dec. 21) … Mike Super at Wheeler Opera House (Dec. 22) … Vaudeville Revue at Wheeler Opera House (Jan. 6) … Popovich Comedy Pet Theatre at Wheeler Opera House (Jan. 11) … “Friends: The Musical Parody” at Wheeler Opera House (Jan. 15) … Crystal Palace Revue at Wheeler Opera House (Feb. 1) … “Macbeth” at The Temporary (Feb. 19) … “Of Mice and Men” at Thunder River Theatre Company (Feb. 22-March 9) … “Improvised Shakespeare” at Wheeler Opera House (March 2) … “The Phantom Tollbooth, Jr.” at Wheeler Opera House (April 11-13). You may not know bunk about the Bauhaus yet, but by the time Aspen’s yearlong centennial celebration of the influential German art school and movement is over, you can be an expert. Every arts organization in the valley is taking part, with exhibitions, participatory art classes (and snow-sculpting), lectures, walking tours and parties. This Aspen Historical Society’s exhibition of work by the Bauhaus master and Aspen icon Herbert Bayer is the centerpiece of it all. Bayer moved here in 1946 and shaped the identity of modern Aspen as its original architect. This show tells us how he did it, with a collection of painting, printmaking, photos, posters and more. AND DON’T FORGET: Herbert Bayer, “Mountains and Convolutions,” Resnick Gallery (through June 10) … Herbert Bayer Photographs, 1928-1934, Paepcke Gallery (through June 10) … “Big Picture, Baby” at Skye Gallery (through Jan. 4) … “Small Wonders” at Aspen Chapel Gallery (through Jan. 6) … “Anderson Ranch Impressions” at Anderson Ranch (through Jan. 28) … Takashi Nakazato lecture at Anderson Ranch (Dec. 4) … Anderson Ranch Holiday Open House (Dec. 18) … Mindy Vernon, ‘Precious Legacy’ at Aspen Jewish Community Center (opening Dec. 18) … Women of Bauhaus at Maker + Place (Dec. 20) … “Zombies: Pay Attention!” at Aspen Art Museum (Dec. 21-May 5) … Tony Oursler and Marc Swanson at the Baldwin Gallery (Dec. 26-Feb. 10) … James Jensen at Aspen Grove Fine Art (Dec. 27-28) … Spencer Hansen at Skye Gallery (Jan. 4-Feb. 14) … Bauhaus Material Display, Pitkin County Library (Jan. 8-June 29) … Toklat Gallery 70th Anniversary Celebration (Jan. 11) … Margaret Kilgallen at Aspen Art Museum (Jan. 11-June 16) … Trace Nichols at The Art Base (Jan. 11-Feb. 1) … Andy Buck and Carl Adamshick: “Receipt” at Anderson Ranch (Jan. 30-Feb. 27) … Bauhaus and Booze: Paint By Number at Wheeler Opera House (Feb. 5) … Amanda Ramsay at The Art Base (Feb. 8-March 1) … Imagine Climate: Artists on Climate Change at Anderson Ranch (March 1-31) … Gabriel Rico at Aspen Art Museum (March 15-June 16) … Robert Mapplethorpe at the Baldwin Gallery (March 15-April 15) … Molly Peacock at The Art Base (April 12-May 3).